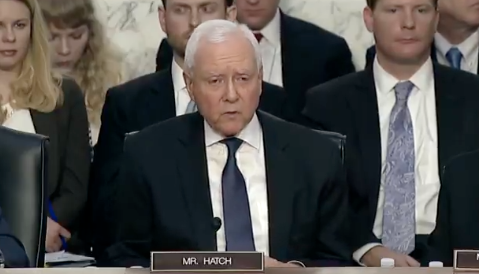 In that spirit, this week the group called on four Mormon senators serving on the Senate Judiciary Committee to insist on an FBI investigation into the testimony of Christine Blasey Ford, who testified that she was assaulted by Kavanaugh in high school. Three of the Mormon senators, Utah’s Orrin Hatch and Mike Lee and Idaho’s Mike Crapo, didn’t budge. But Arizona’s Jeff Flake did take a stand, although Glenn said it wasn’t as resolute as she would have liked. “We’re very very grateful this morning for Senator Jeff Flake and for his courage in really putting country over party,” Glenn said. 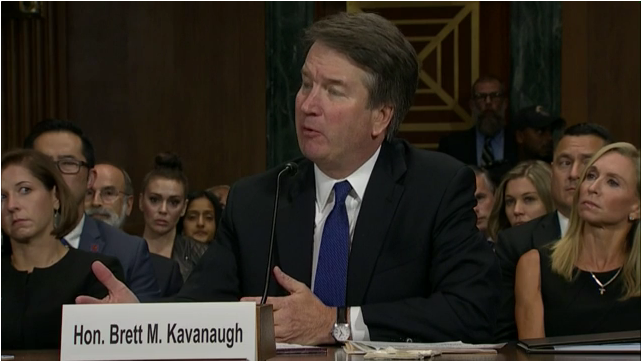 Flake began the day with a statement that he believed Kavanaugh was innocent until proven guilty and intended to vote yes on his confirmation. He was then bombarded at the Hart Senate Office Building by women sharing their own sexual assault stories. 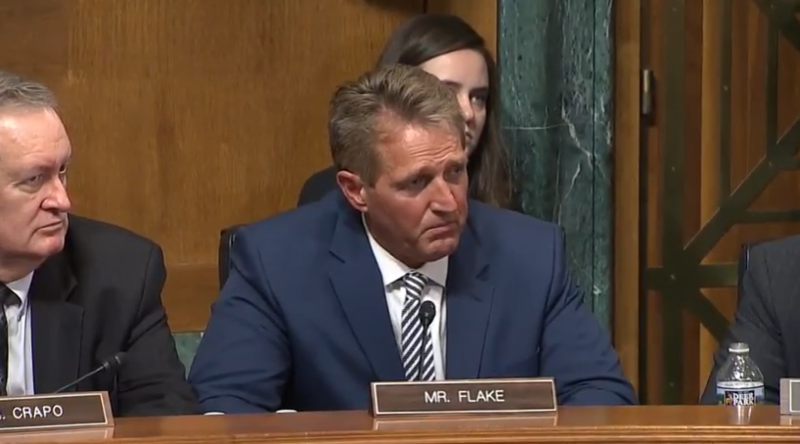 Flake later voted yes to advance Kavanaugh’s nomination, but he also insisted that the full Senate vote be delayed to give the FBI time to investigate the sexual assault claim against Kavanaugh. Glenn said she wishes Flake, who is not seeking re-election, had voted against Kavanaugh’s confirmation. But, she was glad to see the senator heed his morals in making his decision, which was a key reason the Senate vote will be delayed. 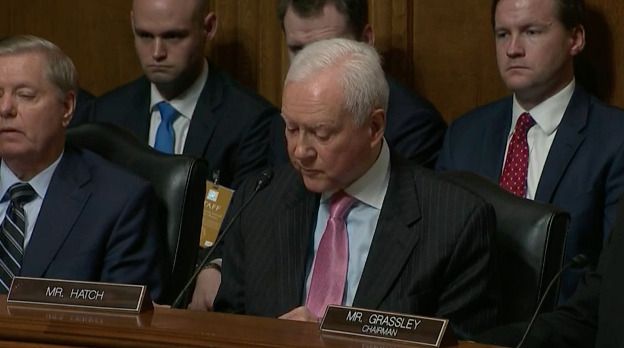 As far as Hatch, Lee and Crapo, Glenn said she was disappointed. “We will certainly continue to speak out and call upon them to bring forth the better angels of their own natures,” she said.